In her article “Study Proposes Outrageous Solution In Lieu of Family Dinners,” Heather Callaghan of Activist Post describes, as the title suggests, one of the many ludicrous “solutions” being presented to combat the inability of families to provide for themselves and maintain a normal family life – government-sponsored, communal family dinners. In addition, middle-class mothers reported being torn between their desire to spend quality time with their children and the expectation that they needed to provide the children with a home-cooked meal. Middle-class mothers were concerned that they weren't able to give their kids the best possible meals because they couldn't afford to buy all organic foods. Poor families, meanwhile, faced more severe restrictions. Their financial limitations made it more difficult for them to afford fresh produce, find transportation to grocery stores, or have access to the kitchen tools needed to prepare meals – such as sharp knives, stoves, or pots and pans. Poor mothers also skipped meals and stood in long lines at non-profit food pantries to provide food for their children. Elliott’s suggestion is, essentially, that some type of government-sponsored community mess hall be created where families share the burden of preparing the food and cleaning up. Indeed, Elliott’s description sounds a lot like the description of a work camp kitchen. It also sounds like the description of a generally terrible idea. The suggestion involves the “volunteering” of some members of the community to cook and clean while others come together en masse for a “family dinner” or, as it translates to reality, a giant dining hall reminiscent of high school and prison cafeterias or military mess halls. If this is Dr. Elliott’s idea of how to encourage better nutrition and the quality and frequency of family dinners, then perhaps he should not quit his day job. Of course, considering his asinine suggestion, maybe he should. The truth is that Elliott’s and his cohort’s ideas are nothing more than a gimmick and an incredibly stupid one at that. The true reason family meals are on the decline, as Callaghan points out, has to do with the economy. The fact is that family dinners are on the decline because many families can no longer afford to have them. While some families are too busy to find the time to have a family dinner, with both parents working sometimes two or three jobs, others cannot afford such luxuries due to the fact that they are not working at all. This is the reason family dinners are becoming extinct. It is not because mothers are simply unable to navigate around the eating schedules of their families as they have managed to do for centuries prior, nor is it because fathers are simply forgetting to bring home the bacon. 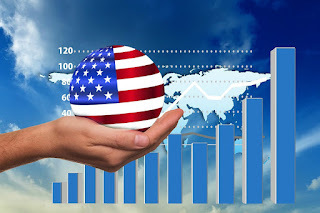 In case the USDA or the researchers of this project were missing for the last 60 or so years, the United States has been in a continual state of economic decline since the late 1960’s. This decline grew over time but became more acute over the last twenty years, a decline which is evident now more so than ever. Yet the correlation should be obvious. With less money, comes less food. In households where both parents are working, the ability of a stay-at-home mom to cook those meals has been eliminated and, thus, the chances of those meals being prepared and eaten together as a family are vastly reduced. Likewise, if one or both parents are working two or more jobs, those odds become even slimmer. In a household where no one is working, the ability to eat dinner at all is called into question. Aside from the question of culture creation, the decline of family meals is an issue based firmly in economics. Thus, it stands to reason that the solution is also based in economics. Gimmicks, particularly bad ones like those suggested by the researchers mentioned above, should immediately be discarded. Others, even those that may be well-meaning and may actually help a small number of people, should also be recognized for what they are and rejected as inadequate solutions to a massive problem. The idea that charities, food banks, community movements and organizations can take the place of true economic opportunity and the ability to adequately provide for one’s family is entirely absurd. Likewise, the idea that these solutions, while helpful enough on some levels, can replace comprehensive action at the national level is both inaccurate and undesirable as an attempt to fix the problem. A legitimate solution to the decline of family dinners would thus be based in economic solutions and would be four-fold. First, in order to prevent the epidemic level of hunger in the United States from growing worse, implement a 1% Wall Street Sales Tax on all financial market transactions such as stocks, bonds, flash trading, e-trading, high-frequency trading, debt instruments, and the notional value of derivatives. A reasonable exemption of $1 million per person per year should be enacted in order to prevent the placement of taxes on individuals who shift around personal financial assets or make investments for their 401(k) or other retirement account. The 1% tax should be paid by the seller of the instrument, not the buyer, and the proceeds accrued from the tax should be split evenly between the Federal government and the States. While the American people are forced to pay up to 12% sales tax on basic items and necessities, Wall Street pays absolutely nothing. It is time for that to change. According to Webster Tarpley’s estimates, world derivatives currently stand “in excess of two quadrillion dollars in notional value.” Other estimates put the notional value of derivatives in the range of six to seven quadrillion dollars due to the fact that these derivatives are constantly being bought and sold. Thus, the revenue that would be generated from a 1% Wall Street Sales Tax could be expected to reach a figure of approximately tens of trillions of dollars. The revenue from the Wall Street Sales Tax should be used to shore up and increase funding for the social safety net programs such as Social Security, Medicare, Medicaid, Food Stamps, Unemployment Insurance, and the like. For those families who are unable to afford the food for the family dinner, refusing to cut these programs, shoring up their existing levels of funding, and ever-increasing their levels of funding is a must. The revenue from the Wall Street Sales Tax should be used as a band-aid from the millions of Americans suffering from poverty and unemployment due to the economic depression. The cost will be paid by the Wall Street bankers who created the depression not by American taxpayers who cannot afford more financial burdens. Second, in order to jumpstart an economy that has hemorrhaged jobs to foreign countries for decades as well as allowed its own infrastructure to remain unattended, an immediate program of infrastructure rebuilding must take place. This will require the Nationalization of the Federal Reserve and the subsequent extension of 0% interest credit for the purposes of rebuilding American infrastructure. This should be accomplished by a nationalized Federal Reserve acting as a truly state-owned central bank buying up the bonds of states, regional projects, and local governments for the specific purposes of rebuilding subway systems, highway systems, water treatment facilities, railway systems (freight and passenger), bridges, electricity and power production facilities, canals, ports, sewage systems, telecommunications, libraries, hospitals, schools, public and government buildings, as well as other relevant aspects of infrastructure. A newly nationalized Federal Reserve should immediately issue a tranche of $3.6 trillion of such credit to Federal, State, and local governments as well as regional projects in order to upgrade current infrastructure to a satisfactory level with subsequent tranches of $1 trillion to be issued as needed after the first tranche of $3.6 trillion is expended. The goal in this endeavor is not only to upgrade and improve the national infrastructure but to create what amounts to full employment. The jobs provided by this credit stimulus should be high wage and union pay scale. Improving infrastructure to adequate levels, however, is not the only potential use for the purchase of Federal, State, and local bonds as the goal should obviously be to create new and more efficient, environmentally friendly, and highly developed forms of infrastructure – be it in waste treatment, power and electricity, construction, or transportation. For instance, high-speed rail should be an immediate priority as should the development of alternative means of power and electricity from a variety of sources such as wind, solar, or some other source of power. In the meantime, however, it is important to upgrade and safeguard those methods of power that we currently maintain whether including water, nuclear, or coal. Likewise, it is important to use such century bonds for the funding of science drivers in each of these respective industries as well as for the achievement of goals that are currently presented as unattainable in the foreseeable future. Thus, in addition to the funding of development of alternative and truly clean/free sources of energy and power, more efficient means of transportation, and other improvements to existing infrastructure, investments must be made in scientific discoveries regarding health and medicine, space exploration and colonization, legitimately environmentally friendly technologies and methods of production, and other laudable goals. With this in mind, it is important to understand that this method of stimulus can and should also be used to stimulate not just government-based jobs but also the private sector. This can be done by offering low to no interest credit to the private sector manufacturers in all industries who are willing to refurbish aging factories currently lying dormant and empty all across the nation. Interest free and/or low-interest Federal credit should be issued to those manufacturers and producers who are active or are willing to become active in areas of tangible physical production. These productive jobs should then be safeguarded by means of a protective tariff. In addition, such credit must not only be available to large companies or individuals who are “thinking big” but should be available all the way down to the local business owner – restaurants, electricians, HVAC, mechanics, plumbing, etc. For far too long, Wall Street has been the recipient of tax payer subsidies for risky financial derivatives and financial services which produce absolutely nothing. It is time for Wall Street to take a back seat to Main Street. Lastly, a nationalized Federal Reserve would be able to refinance student loans via the Department of Education and relevant agencies that are currently burdening a large portion of an entire generation of Americans. Education, particularly in the area of high skills, is a necessary ingredient to a well-trained workforce of high wage workers. This is especially true if the United States is to take the lead in scientific development. Furthermore, if an entire generation is saddled with such unreasonable debt as to preclude them from the ability to buy a house, support a family, and otherwise lead a comfortable life, then the United States is on the fast track to creating its first “lost generation.” By refinancing student loans through the Federal Reserve at less than one percent or even zero percent interest, this generation will be able to free itself of such debt and a new generation will be encouraged and enabled to learn the skills that will be needed for the initiation of a new economic system based on productivity. The goal of such credit stimulus by a truly nationalized Fed, while not focused on food specifically, is to give those who are either unemployed or forced to work a number of low-paying or part-time jobs the opportunity to provide for themselves. The United States must return to a high-wage economy where families can be supported by a breadwinner. Working mothers should obviously be able to continue working if they choose, but they must also have the choice to stay home to care for their families. They should not have to make the choice between working for survival and missing out on watching their children grow or staying at home and watching them starve. In the same vein, a protective tariff must be applied to relevant goods entering the United States. Tariffs act as a tax on imported goods, which is subsequently paid back into the U.S. Treasury. Tariffs are not meant to stop trade or make business more difficult. They are designed to offset and discourage the “competitive advantage” of cheap labor, lack of labor standards, and “product dumping.” A protective tariff is an indispensable tool in the fight against free trade and the systematic hemorrhage of American jobs that have come about as a result of GATT, NAFTA, and the host of other unfair trade agreements. Thus, it is vital that Americans reject gimmicks, particularly those that resemble a scene out of the Hunger Games, in favor of providing real and legitimate solutions which give families the opportunity to provide for themselves. The United States does not need a patchwork system of charitable organizations, community groups, or government communitarian social engineering in order to encourage its families to eat dinner together. The United States does not need gimmicks. It needs a coherent structure of solutions for economic reform that provides them the opportunity to do so. Brandon Turbeville is an author out of Florence, South Carolina. He has a Bachelor's Degree from Francis Marion University and is the author of six books, Codex Alimentarius -- The End of Health Freedom, 7 Real Conspiracies, Five Sense Solutions and Dispatches From a Dissident, volume 1and volume 2, and The Road to Damascus: The Anglo-American Assault on Syria. Turbeville has published over 400 articles dealing on a wide variety of subjects including health, economics, government corruption, and civil liberties. Brandon Turbeville's podcast Truth on The Tracks can be found every Monday night 9 pm EST at UCYTV. He is available for radio and TV interviews. Please contact activistpost (at) gmail.com.